How long has the acupuncturist been practicing? What experience with acupuncture do they have in treating specific ailments? Exactly what will the acupuncture treatments entail? Does the practitioner have testimonials from previous clients? These questions and many more help to ensure a more positive encounter. Since a patient’s experience depends largely on choosing the correct practitioner, it is also important for the patient to trust the acupuncturist. By understanding how long an acupuncturist has been in practice, what work they have done with specific ailments, and what should be expected during treatment, patients will be more inclined to trust their practitioners work and in turn, relax during the treatment. Because acupuncture is not a conventional method of medicine, it is also important to understand exactly what, if any, kind of conventional medical knowledge the practitioner has when choosing an acupuncture clinic. It is important to understand that a patient should not rely on the diagnosis of a disease by a doctor who does not have the appropriate conventional medical training. If in fact the patient has received a diagnosis from a certified doctor, it is a good idea to ask their doctor if acupuncture could help. With this information, the patient will be more likely to choose an acupuncture clinic that will provide an ideal and successful acupuncture experience. At Bay Area Oriental Family Practice, we only offer the best acupuncture and Chinese medicine services. Our practitioners are Dr. Yali Fan and Dr. Jennifer Nahon whom together have over 30 years of experience in Chinese medicine, which includes acupuncture, tunia massages, herbal medicine, qigong healing, and diet therapy. Both Dr. Fan and Dr. Nahon are nationally board certified and Florida licensed acupuncture physicians. Dr. Fan graduated from Shandong University of Traditional Chinese Medicine in China in 1984, where she received her medical doctor degree as well as taught for 12 years. She has been practicing in the United States since 1996 and is the author of six Chinese medical books and dozens of articles. Dr. Fan is also nationally renowned for her books, lectures, and seminars in the U.S. She exclusively practices traditional Chinese medicine. Dr. Jennifer Nahon graduated from Midwest College of Oriental Medicine in Chicago, Illinois. She is a national board certified and Florida licensed Acupuncture physician. She has been studying and practicing Chinese Medicine for ten years and worked alongside a third generation Chinese doctor in Chicago’s prestigious Chinatown. She has heavily studied the science of herbs and acupuncture which led her to develop a line of multivitamins for women according to their constitutions. She treats each patient as an individual and continues to work further for the advancement of natural medicine through scientific research. Come in today for a free initial consultation and be confident that you have chosen the best acupuncture clinic available. 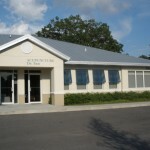 Our Acupuncture Clinic in Tampa also serves Clearwater, Westchase, Oldsmar, Town N Country, Lutz, and Safety Harbor.